Lisa Peskin is the founder and CEO of Business Development University (BDU), a sales and sales management training, coaching and consulting firm. BDU focuses on helping individuals and companies grow their revenue by significantly increasing their sales with a customized comprehensive approach to business development. 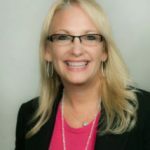 Lisa has over 30 years of experience in sales performance and management, and she has helped thousands of selling and non-selling professionals dramatically improve their business development efforts and results through training, just-in-time support and programs designed to maximize opportunities and drive ROI.